Welcome to my next blog post. Unfortunately there was no Rolex available – :). 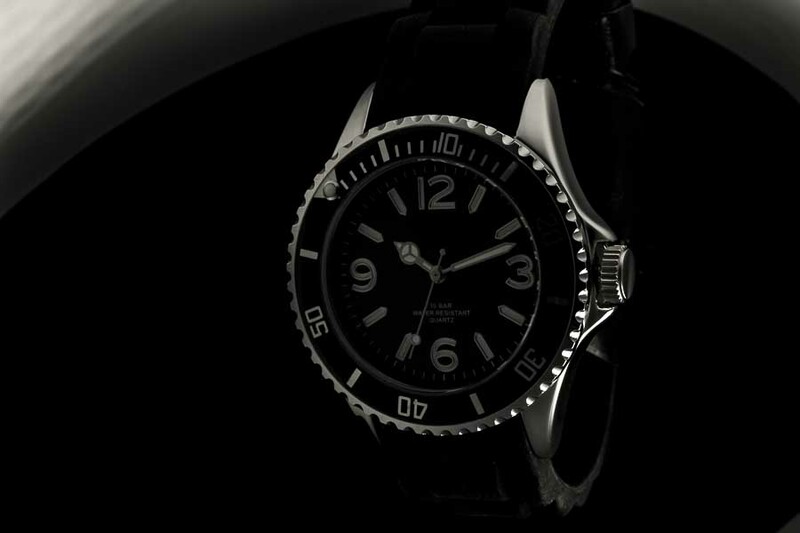 , So a cheap clock from the discounters must be enough to show how you can photograph a watch in an interesting manner. 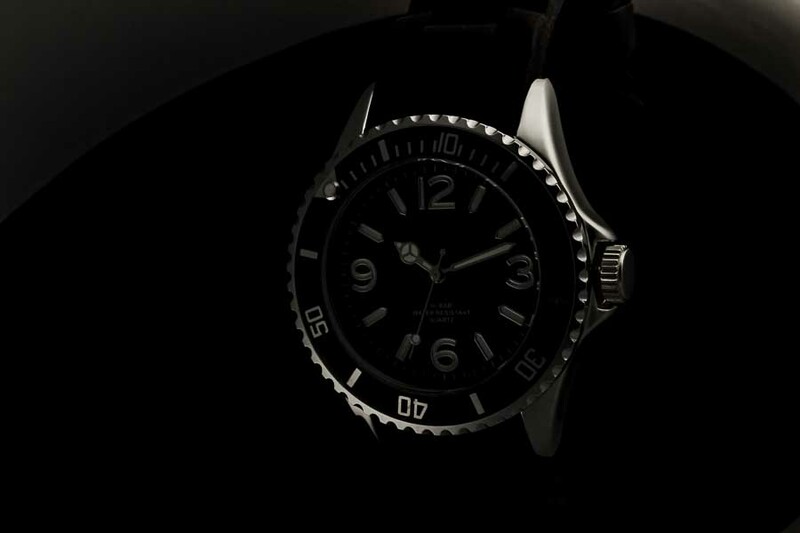 Watches can be photographed in many ways and I can only show just one approach to it. Other clocks can be completely different. So check it out and change your settings. 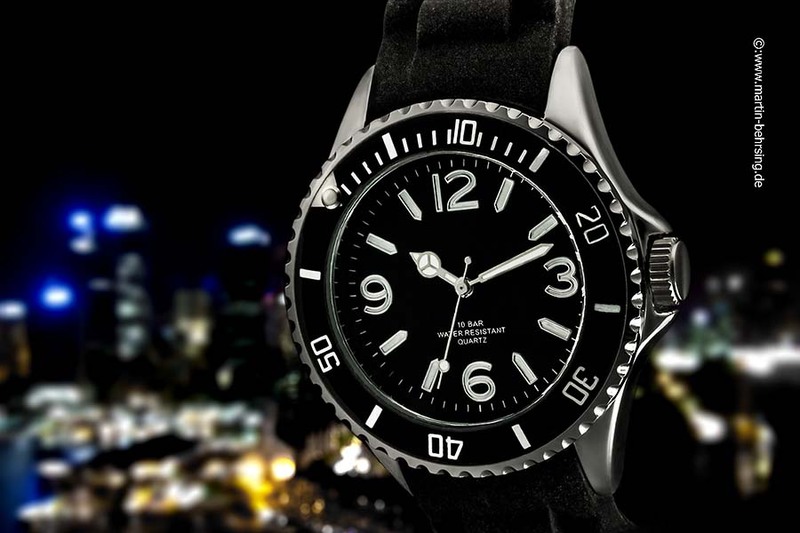 Shiny objects – and that’s a watch – should not simply be photographed with a pop-up flash or shoe mount. That will look terrible ( e. g. Click link…). So you have to increase the light surface. This can be done for example, using soft boxes. But you have to put the light very close to this small object. And there is a limit. Softboxes need a lot of space and light shaping is hardly possible. You can use Trans-lum foil to soften the light and get gradients. Due to this purpose I formed a tube and placed it around the watch. 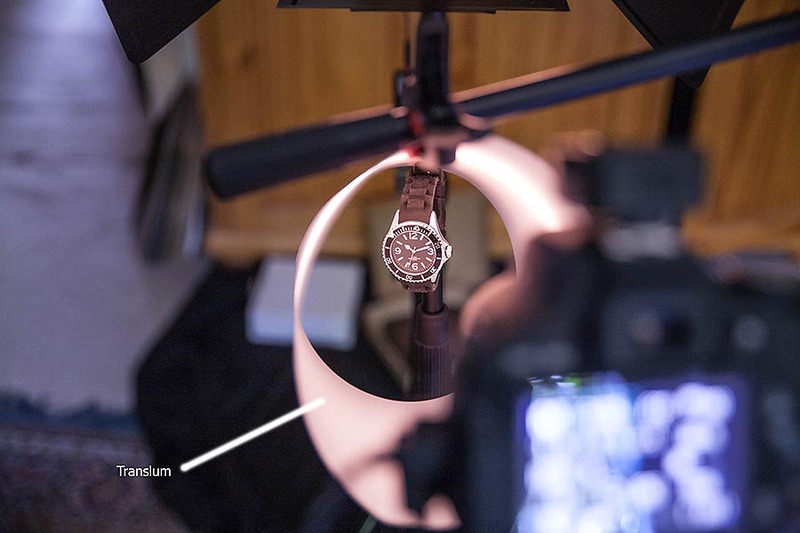 The watch was mounted on a tripod and the tube was placed around the watch. I put a piece of black fabric, so that the background was black. 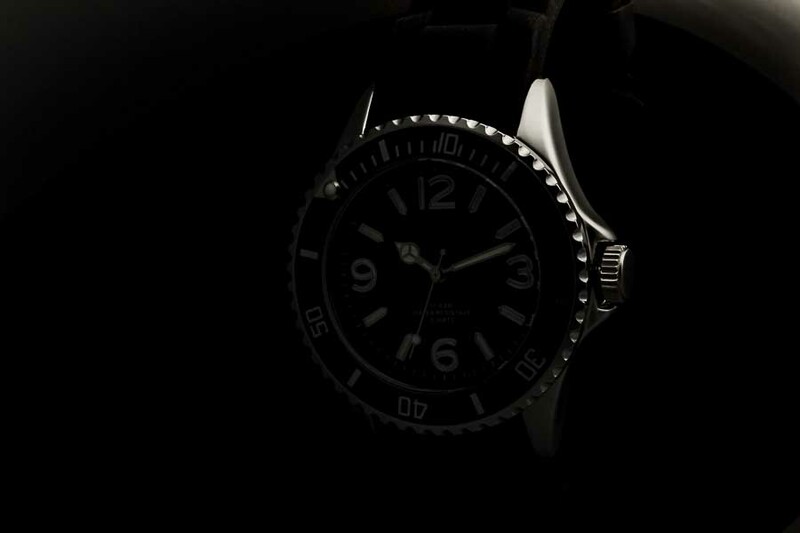 I used four flashes to photograph the watch. In such situations, you should use flashes with a modeling light to control how the light acts in the viewfinder of the camera. By looking through the viewfinder of the camera, you can then adapt the position of the flashes. Only for the flash no. 4 I used a speedlight because the flash could only be decreased in four steps and that was not enough. The speedlight was used only to light the knob and the bottom right-hand side. You can find this position quickly if everything else is right. 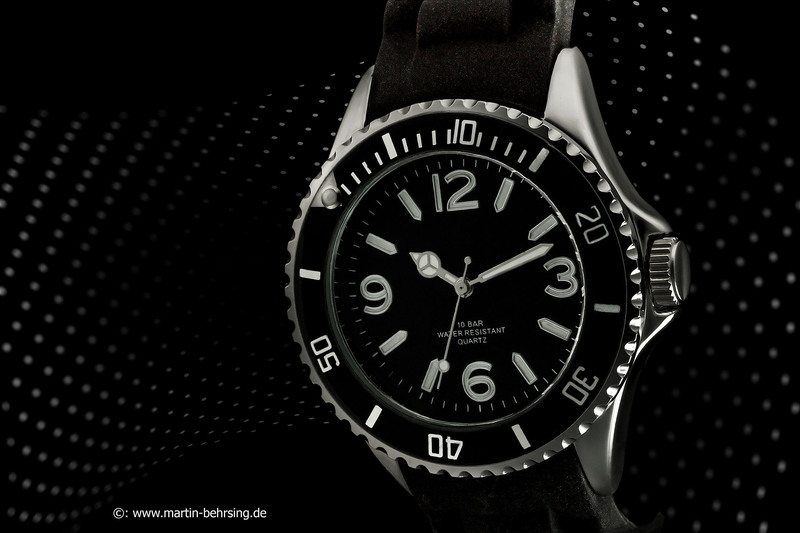 The next pictures show how the watch takes shape if the light (1-4) is added. For that you need a mix of clone stamp tool, repair brush, path tool, blur brush, „dodge and burn“, and raising the contrast. For this purpose, I will do a tutorial later. 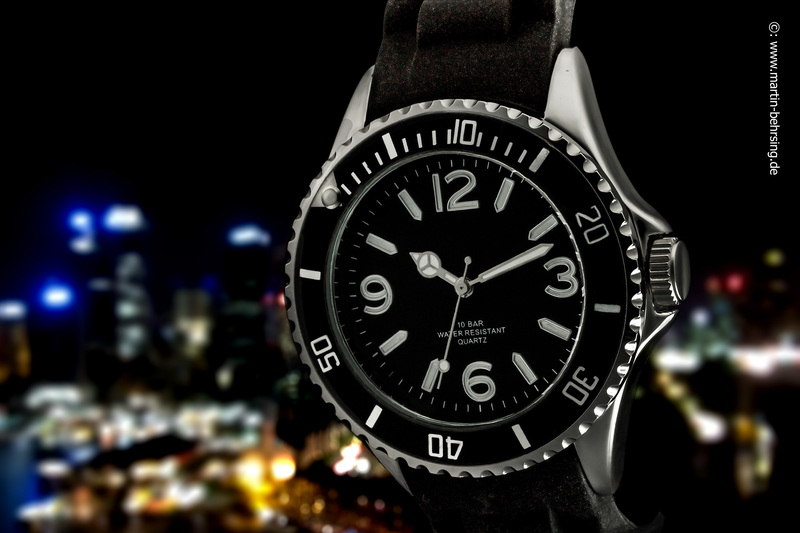 After postproduction I cut out the watch to put it on a background produced in Photoshop. Alternatively, I put the watch in front of a different background. Which do you like more? Here both images. Please click to view large ones. Maybe this tutorial is a suggestion for you and you will get other ideas. 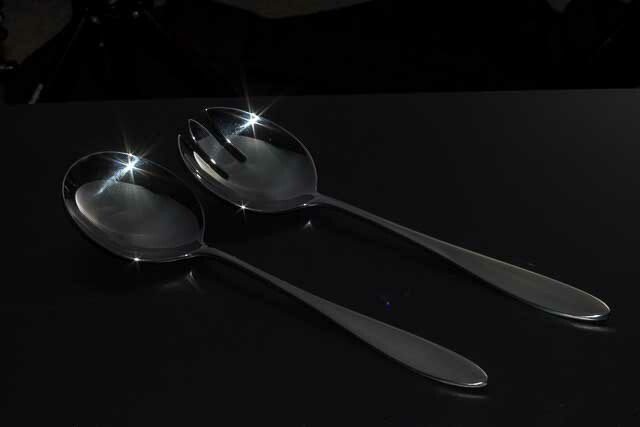 With light you can change things dramatically.